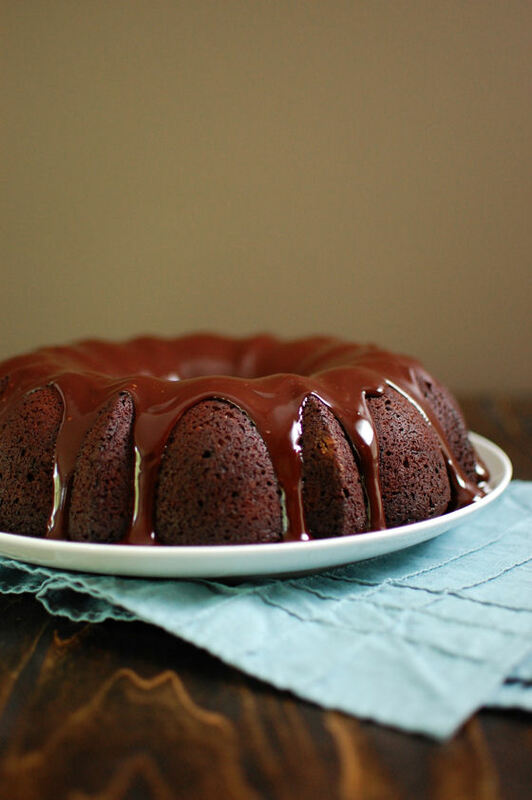 Tunnel of Fudge cake was made famous by the Pillsbury Bake-Off. 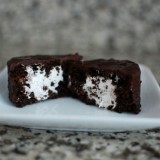 This version from America’s Test Kitchen is chocolatey and indulgent, as the name would suggest. This cake just screams indulgent with it’s chocolatey cake filled with a gooey underbaked center and topped with a chocolate glaze. It’s the perfect dessert to impress friends, family members, or that special someone in your life. I made this cake for dinner with some friends. We all went back for seconds. As you can see in the pictures, I overbaked mine a smidge since my tunnel wasn’t quite as gooey as other pictures I’ve seen of this cake. I can tell you that I’ve made it again since taking these pictures and baked it a few minutes less and it had a more gooey-underbaked center. So my suggestion is to take the cake out a little before you think you need to. I served the cake with some fresh raspberries and at the last second added some freshly whipped cream to the table as well. Even for this chocolate lover, I enjoyed the berries and cream to cut through the intense chocolateness coming from this cake. 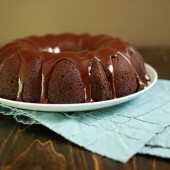 I love the tip from America’s Test Kitchen to paint the inside of the bundt pan with a melted butter and cocoa mixture. Not only was it fun to do, it yielded a cake that came out of it’s pan with no issues. 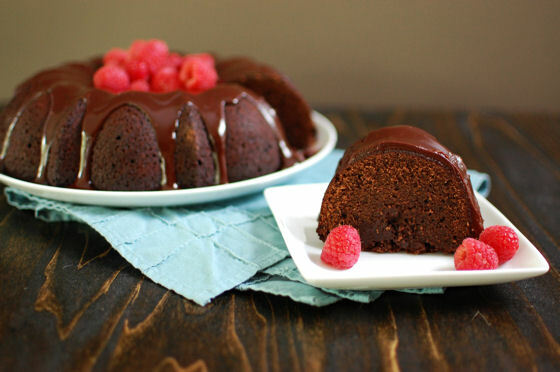 I’m definitely going to be using that trick for other chocolate bundt cakes in the future. 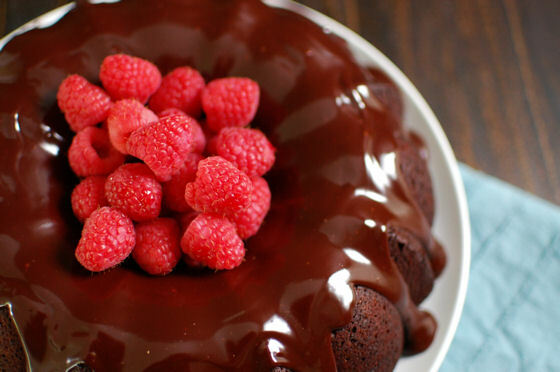 Tunnel of Fudge cake was made famous by the Pillsbury Bake-Off. This version from America's Test Kitchen is chocolatey and indulgent, as the name would suggest. Preheat the oven to 350 degF. In a small bowl, whisk together the cocoa powder and melted butter. 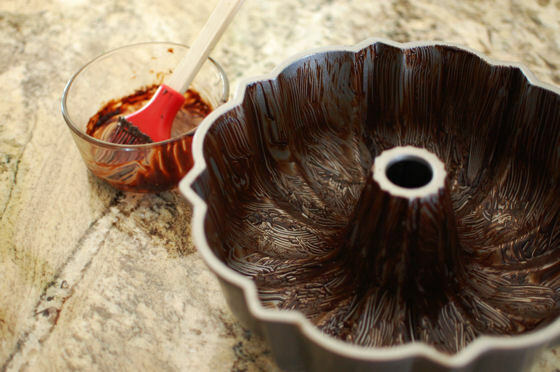 Use a pastry brush to evenly coat the inside of a 12-cup bundt pan. In a medium bowl, pour the boiling water over the chopped chocolate. Let stand for a minute, then whisk until smooth. 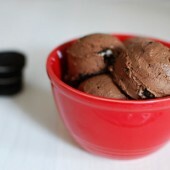 In a medium bowl, combine the flour, cocoa powder, powdered sugar, and salt. Combine the eggs and vanilla in a liquid measuring cup and beat lightly. 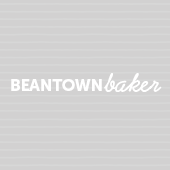 In the bowl of an electric mixer, combine the granulated sugar, brown sugar, and butter. Beat on medium-high speed until light and fluffy, about 2 minutes. With the mixer on low speed, add in the egg mixture just until combined. Add the chocolate mixture and mix until incorporated. Blend in the dry ingredients until just combined. Spread the batter into the prepared pan. Bake for about 45 minutes or until the edges of the cake begin to pull away from the pan. Allow the cake to cool on a wire rack for 2 hours before inverting onto a cake platter. Allow to cool completely, about 2 more hours. Combine the cream, corn syrup, and chocolate in a small saucepan. Heat over medium heat, stirring frequently, until smooth. Blend in the vanilla. Set aside for about 30 minutes, until slightly thickened. 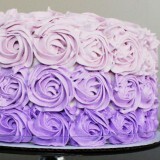 Drizzle the glaze over the cake and let set for at least 10 minutes before slicing. Isn’t it the BEST feeling when your husband says they love something?? Especially when you make things all the time. 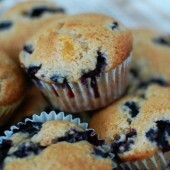 I am a huge fan of blueberry muffins but adding peach might be a new twist on an old favorite. Looks great! Ooh, blueberry peach in a muffin? YUM! OOOh, that sounds great! I always make blueberry muffins-we all love them and recently made my first (!) peach pie! I can just imagine how good that must be! This isn’t a combination I would think of! Looks yummy! Blueberry and Peach? How Cool!? I love to find different combinations that are not the every day norm! Thanks for sharing this one!! 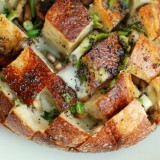 Wow that looks delish! I actually have some peach jam I need to finish up myself. Is it really tender enough without any butter or oil? Yum! 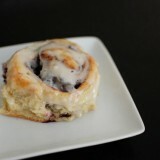 Peach and blueberry are great together! I bet my husband would like these too. 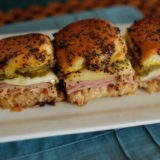 You are SO great with flavor combinations!! I LOVE this idea!! 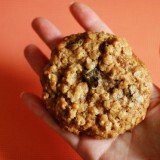 I’m glad you liked the recipe, but I’m sure the AMAZZING part of them came from your awesome personal twist! YUM!